In orbit around the Earth are a number of satellites that make up the Global Positioning System or GPS. If you have a receiver in a vessel and it can locate at least 3 of them, it can work out where it is. This is done by a process called trilateration, put simply your receiver calculates how far it is from a satellite and draws a circle where it thinks it is. It now repeats that at least twice and where those circles overlap is its location. So now it knows where it is it needs to tell tell our server so we can place it on the map. It does this using GPRS (Radio Data) and the internet. 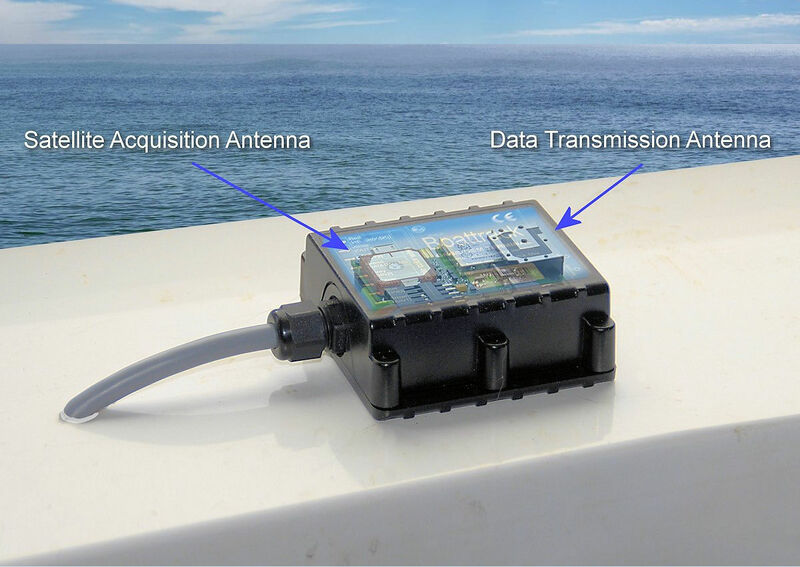 A data transmission unit is housed in the same box as the receiver and at set times it takes the location from the GPS receiver and transmits it to any nearby Cellular Network’s mast. This then relays it via the internet to a computer server which can be anywhere in the world. When we first started supplying trackers in the nineties most companies hosted the server themselves, but these days you don’t have to have the hassle. Modern computer devices let you go and ‘peep’ at your data on a professional hosted server, just using an internet browser. The majority of our trackers have the aerials to do this built in, but as you will see below we also offer units with external aerials. Our base and most popular unit with in built aerials, because the aerials are inside it clearly it is the easiest unit to install, just requiring to be mounted where it can electrically see the sky i.e. Label side up (for example on the deck, inside a locker, or under a fibreglass / wooden roof). The AVT11 is splash proof and also has an internal backup battery (lasts around 4 hours). It needs a 10-30 volts supply and if you are on our Standard monthly it can send a message when equipment (Power Anchor, Engines, trim etc.) are used. 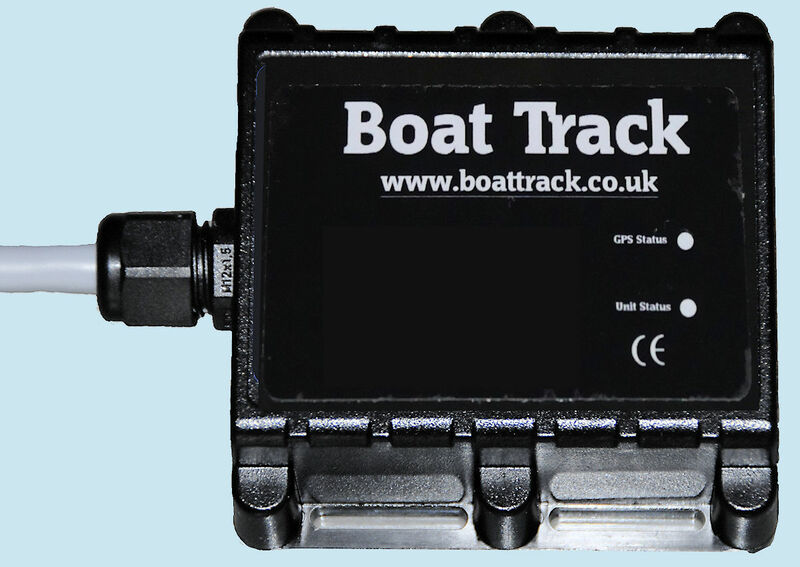 With its Waterproof housing (IP67) this is our most rugged unit and can just be mounted on your fly-bridge / cabin roof, under a Jet Ski / RIB seat (label side up), anywhere it can electrically see the sky Then it is just a case of running power to it. It comes complete with internal backup battery (lasts around 4 hours), connecting cables and instructions. It needs a 10-30 volts and if you are on our Standard monthly rate it can send a message when equipment (Power Anchor, Engines, trim etc.) are used. or you can purchase now by using the 'Buy Now' options above. External Aerials: The two units above have built in aerials and for most installation these are more than adequate. However for some vessels that spend some time a long way off shore an external aerial mounted high up will increase range considerable. Each installation will be different, but as a good guide a tracker with external aerials sockets cost £65 and the aerials will add between £25 and £45 extra depending on size, mounting method etc. Please contact us to discus this option if you feel you need it. Mounting Brackets: Most installations are achieved with a small strip of Velcro (other brands are available), or plastic wraps. However for 'High Performance Vessels' that may encounter occasional high 'G' force, we recommend using a simple metal 'U' bracket. As a number of people have said they would like to buy rather than make, we have had some manufactured in aluminium and they are available to you at what it cost us, which was £9 each. 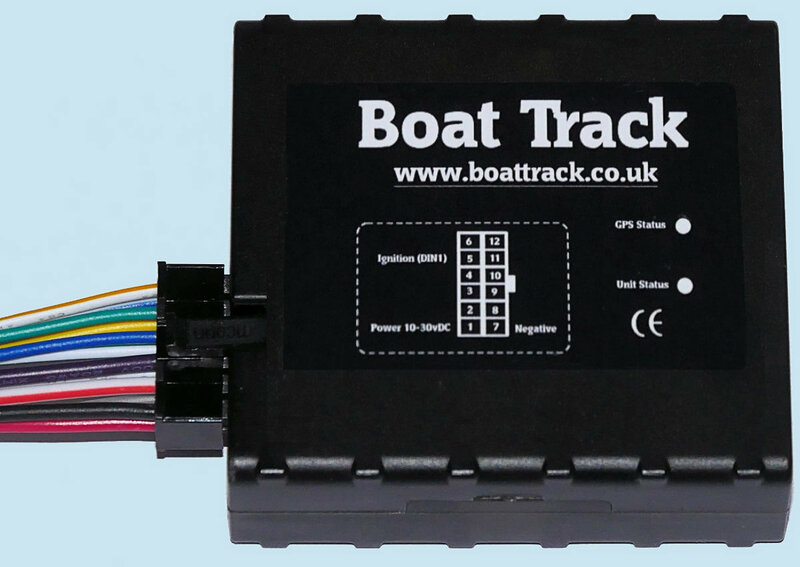 Second Mount Kits: Some customers who bring their vessels ashore after use, have purchased second install kits, so they can us the tracker in the car during the week. We are happy to supply second unit kits, but in fairness to other users we will have to move you on to the standard tariff rate. The cost of a second kit is £12 plus carriage. Theft Deterrent: Let us be clear there is not a device made be it ours, or any other companies, that can stop someone stealing your boat and any salesman who tries to tell you different is a liar! That said a well hidden installation and some common sense can help a lot. Your first line of defence is if it is stolen and you are checking regularly, will be that you will know about it well before you turn up at the Marina with the family for a day out. If you are on our standard rate and have an anti-theft device already installed, you can run a feed from the siren to our unit and it will send you a message when it goes off. A micro, or magnetic switch on a cabin door, even a simple inexpensive under-carpet pressure pad can do the same thing. A relay in your shore power feed will activate it when power is disconnected. The simple act of geo-fencing your mooring will allow you to be emailed if it leaves the area and there are many more options, just talk to us to find out what others have done.